CALLING ALL YOU BEAUTIFUL, BREAST PUMPIN’ MOMMAS!! This post is sponsored by RAWR Naturals. Product and Compensation were received. I am SOOO excited to be back with you today as I share my BEST KEPT SECRETS for ROCKING the breast pumping life! Many of you know I have been exclusively breastfeeding Brody James for the last 8.5 months and am still going strong! My goal is to continue to breastfeed him until he is 12 months old, then naturally start to ween him. As a busy, working Momma, breast pumping is an exclusive part of my weekly schedule in order to ensure that Brody is getting fed throughout the day when Momma is at the pool for aquatic therapy! I pump four days out of the week and again if needed when we travel! RAWR Naturals has been a key player in my lifestyle for sustaining a great milk supply. 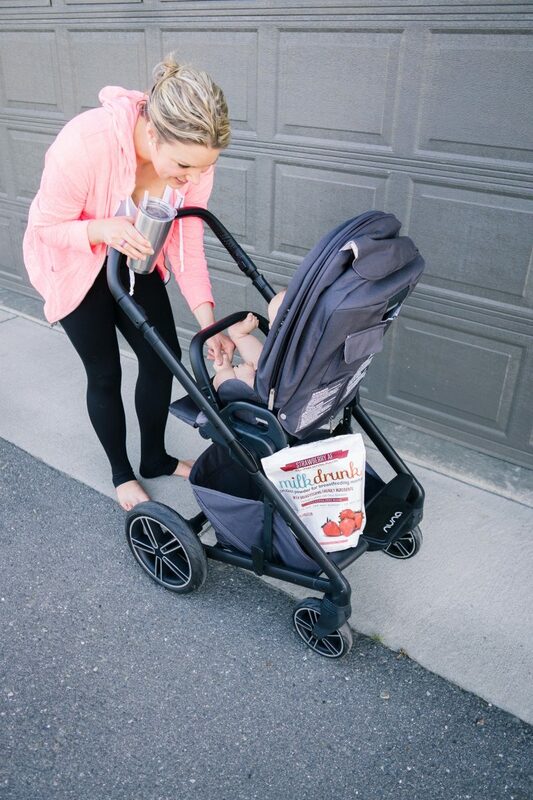 If you’re a Blossoming Mommy And Baby Momma you know that afternoon protein smoothies are an absolute staple in our daily routines~ and adding a big scoop of RAWR Naturals protein powder is EVERYTHING for boosting that milk supply! RAWR Naturals specifically curates their vegan protein powder blends with galactagogues (milk boosting ingredients!) and other power packed ingredients to help nourish our bodies and again… that supply! 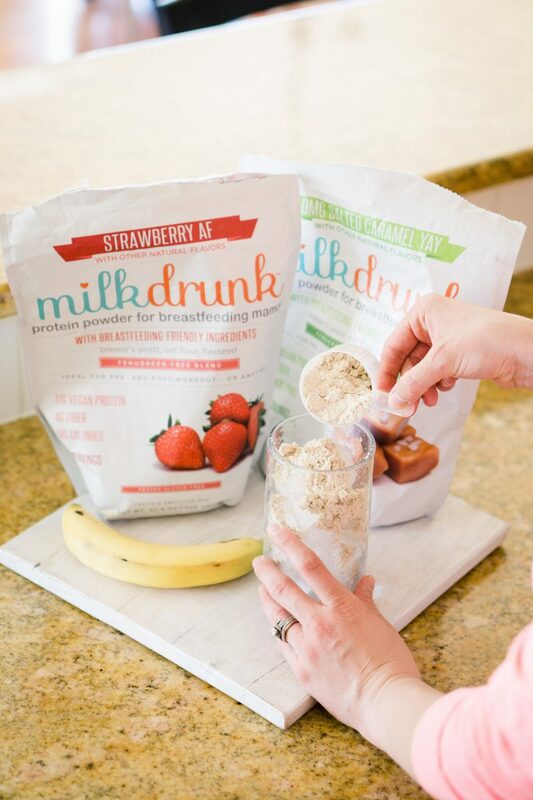 I also LOVE that their entire line is both dairy and gluten free, making it my #1 protein powder recommendation for all of you nursing, pregnant, or breastfeeding Mommas! It is really important to have a breast pump (and all the parts!) that fits you well. Make sure you take time researching which pump will best work for you and your lifestyle. The wrong sized pump may hinder you from having a positive breast pumping experience, so make sure you put in the effort towards finding a great one! Also~ make sure you have extra parts on hand! You never know when one may go out! This may seem silly, but having both hands free while you are pumping is EVERYTHING. Personally, it has allowed me to finish a blog post, checkin on social media, finish computer work, and most importantly… has allowed me to munch on some popcorn during a Parenthood Netflix binge ;). Mamas! This one!! SO important! How you fuel your body is essentially how you are fueling your babe! Make sure your diet is full of fruits and vegetables, lean proteins, good carbohydrates, hydration, and minimal to no refined sugar and processed foods! Adding a scoop of RAWR Naturals protein powder into your daily smoothies is VITAL! The added boost of nutrition, protein, and milk enhancing ingredients will play a positive and powerful role in keeping your milk supply up! Pumping and breastfeeding is hard and let me just be honest with you Mommas… it can feel like a HUGE inconvenience at times. Remember, despite the challenges you may face, you are still doing an AMAZING JOB! Keep working hard at it, even when you feel challenged or discouraged! I am always here rooting for you and your breastfeeding and pumping success!! Now, go!! Get your pumping game face on, girl! YOU’VE GOT THIS! Make sure you select your protein powder of choice (vanilla, chocolate, mocha, salted caramel, and strawberry!) from RAWR Naturals and get BUSY! This simple addition to your routine will be SO helpful to your supply! Be sure to use code BLOSSOM at checkout for 10% off your order!